VMware NSX™ is the world’s leading network and security virtualization platform providing a full-service, programmatic and mobile virtual network for virtual machines, deployed on top of any general purpose IP network hardware. Today, huge data volumes and real-time applications are pushing storage demands to new levels. Conventional storage systems are overwhelmed, and IT is looking for better alternatives. What’s needed is a new approach to storage. 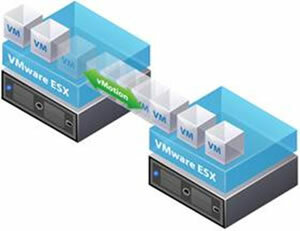 As the leader in hyper-converged software-defined storage for virtual environments, VMware Virtual SAN™ applies the principles of VMware’s software-defined data center to storage: It abstracts the disks and flash drives inside your servers, combines them into high-performance storage pools, and delivers these as software. Virtual SAN offers simplified, policy-based provisioning, and it’s integrated with the vSphere web client, so you can easily manage both compute and storage through a single interface.